Baptisms ~ We celebrate with you the gift of new life & invite you for the preparation of baptism. Please contact the parish office. Reconciliation ~ Come experience God's love & mercy. 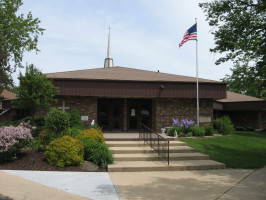 Saturday 3:30 p.m. & Sunday 9:30 a.m.-9:50 a.m.
Communion Calls ~ Please contact the Pastor or Parish Office. Religious Education ~ September through April, Pre-School to 7th Grade ~ Sundays, 8:50 to 9:50 a.m. Youth Group 8th-12th grade~ One Sunday night a month from 6:00-8:00 p.m.